Fuel available 24 hours a day! Our award winning petrol forecourt has been supplying fuel to the vehicles of Newton Stewart and surrounding area since approximately 1929, when we started selling fuel from Pratts Petroleum. 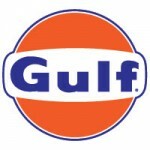 We now supply high quality Gulf Unleaded and Diesel fuels as well as Calor gas, a full range of lubricants, and a wide range of car care products and accessories. We also stock the full range of Poorboy’s World car cleaning and detailing products. Our well stocked shop can also offer a great selection of groceries, sweets, ice cream, crisps, drinks, snacks and sandwiches. On-site you will also find our “Buy Time” Triple Foam Jet Wash, Vacuum, Air Line and Screenwash machines to help keep your vehicle in pristine condition. All machines accept cash at the machine, with the jet wash also accepting either £1 or £5 tokens which are available from our forecourt shop. Fuel is available 24 hours a day with our integrated pay at pump terminals. The easy to use terminals are active outwith the shop opening hours and allow you to pay directly at the pump with most credit or debit cards. Why not drop in and sample this award winning service for yourself!